Below is the Maryland wrongful death statute under which our lawyers bring lawsuit for fatal accident, medical malpractice, and product liability claims. For more information on Maryland wrongful death claims, click here. How Much Are These Cases Worth? Except as provided in paragraphs (2) and (3) of this subsection, an action under this subtitle shall be for the benefit of the wife, husband, parent, and child of the deceased person. The other parent of the child is a child of the parent. An action under this subtitle for the wrongful death of a child caused by the parent of the child allowed under the provisions of § 5-806 of this article may not be for the benefit of that parent of the deceased child. An action under this subtitle for the wrongful death of a parent caused by a child of the parent allowed under the provisions of § 5-806 of this article may not be for the benefit of that child of the deceased parent. Secondary beneficiaries. -- If there are no persons who qualify under subsection (a), an action shall be for the benefit of any person related to the deceased person by blood or marriage who was substantially dependent upon the deceased. Damages to be divided among beneficiaries. In an action under this subtitle, damages may be awarded to the beneficiaries proportioned to the injury resulting from the wrongful death. Subject to § 11-108 (d) (2) of this article, the amount recovered shall be divided among the beneficiaries in shares directed by the verdict. A parent contributed 50 percent or more of the child's support within the 12-month period immediately before the date of death of the child. Same -- Death of children not described in subsection (d) or parent of a child who is not a minor. -- For the death of a child, who is not described under subsection (d) of this section, or a parent of a child, who is not a minor child, the damages awarded under subsection (c) of this section are not limited or restricted by the "pecuniary loss" or "pecuniary benefit" rule but may include damages for mental anguish, emotional pain and suffering, loss of society, companionship, comfort, protection, care, attention, advice, counsel, training, education, or guidance where applicable. Restriction to one action under this subtitle. -- Only one action under this subtitle lies in respect to the death of a person. Except as provided in paragraph (2) of this subsection, an action under this subtitle shall be filed within three years after the death of the injured person. In this paragraph "occupational disease" means a disease caused by exposure to any toxic substance in the person's workplace and contracted by a person in the course of the person's employment. Within 3 years of the date when the cause of death was discovered, whichever is the shorter. Has subsequently married the mother and has acknowledged himself, orally or in writing, to be the father. Most tort law comes from case law which is called common law. Judges write legal opinions, lawyers read the entire opinion, and try to glean what that law is. Wrongful death cases are very different. Originally, at common law, the surviving family was not able to bring a laswuit for the loss of a loved one. Essentially, this means that it was better to kill someone than to injure them. 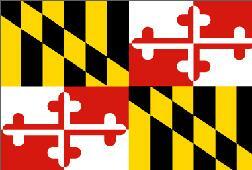 Maryland remedied this problem in 1852 with this act. Under Maryland law, a wrongful death claim is a separate cause of action, and is not derivative of a personal injury claim. So this statute allows the family members of the victims to bring a lawsuit for their loss. Mummert v. Alizadeh 77 A.3d 1049 (2013): Maryland Court of Appeals found that the only applicable statute of limitations in wrongful death cases, including medical malpractice claims, is three years from the death of the decedent. Munger v. United States, 116 F. Supp. 2d 672 (D. Md. 2000): Interpreting Maryland law, the court said unlike many other jurisdictions, an action for wrongful death may only be brought by the wife, husband, parent, and or child of the deceased person. In many other jurisdictions, the estate of the person who was fatally killed is the only party that can bring a wrongful death claim. In Maryland, only time that anyone else than that a spouse, parent or child can bring a wrongful death action for the person who was killed is when there are no one who qualifies under subsection (a) of the Maryland Wrongful Death Statute set forth above. Eagan v. Calhoun, 347 Md. 72 (1997): Wrongful death claims are based on the death of another person but it is not " brought in a derivative or representative capacity to recovery for a loss or injury suffered by that person." In other words, a wrongful death case is not for the loss to the person who has died. It is claim for the people that survived because they lost someone that they love. Acands, Inc. v. Asner, 104 Md. App. 608, 657 A.2d 379 (1995), rev'd, remanded, 344 Md. 155, 686 A.2d 250 (1996). In a wrongful death action, under § 3-904(3), damages are measured in terms of the harm to others from the loss of the victim. In contrast, in a survival action which is brought by the estate of the person who suffered the fatality, who recovers for that suffering that the person who was killed had before he or she died. McKeon v. State ex rel. Conrad, 211 Md. 437, 127 A.2d 635 (1956) This case flushes out what it means to be dependent under subsection b of the Maryland Wrongful Death Statute. The court considered this question in the context of a fatal car accident case is Allegany County. The court in this case essentially says that total dependency exists where the dependent subsists entirely on the income of the deceased but that the rule will be applied with reason. 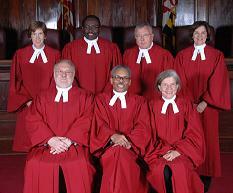 Accordingly, Maryland courts will not deprive wrongful death beneficiaries of the rights of total dependents because of temporary gratuitous services or occasional financial assistance received from other sources, as long as they are generally dependent on their loved one that was killed. If you live in the Baltimore Washington area and believe you have a family member that was killed that you believe was by the negligence by another driver on the road, by medical malpractice, or as the result of the used of a defective product, click here for a free no obligation consultation with our Maryland wrongful death lawyers by phone at (800-553-8082).